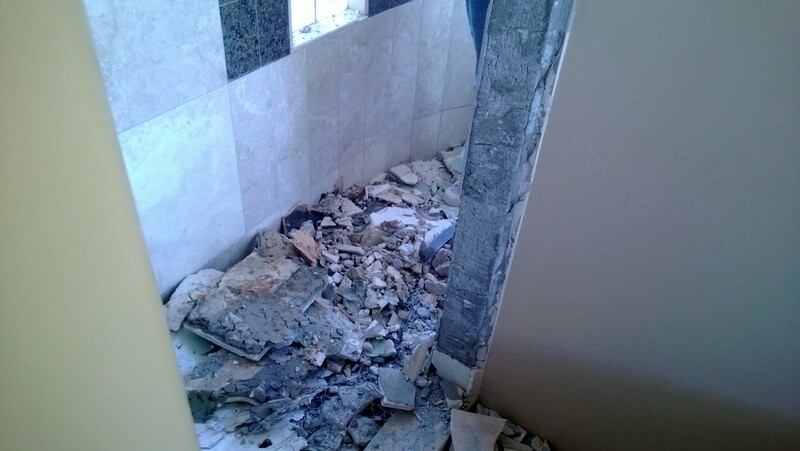 Stardust showed up at 7am to start removing the cabinets and after three hours, this is what it looked like. 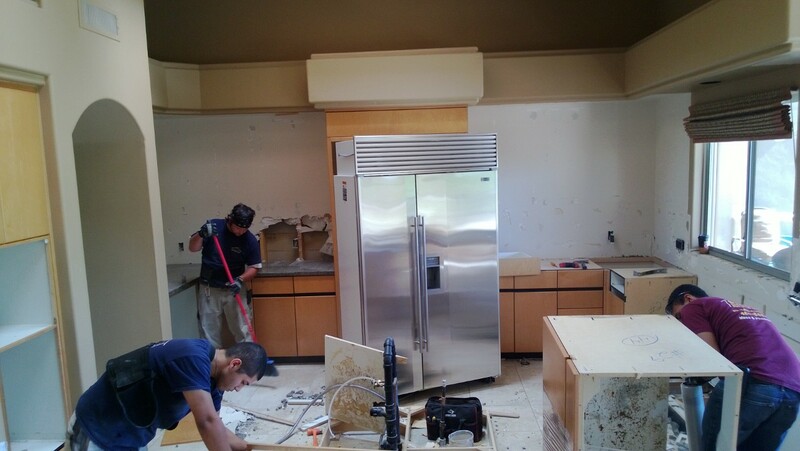 Their team of three guys kept chipping away until all of those ugly cabinets came out. 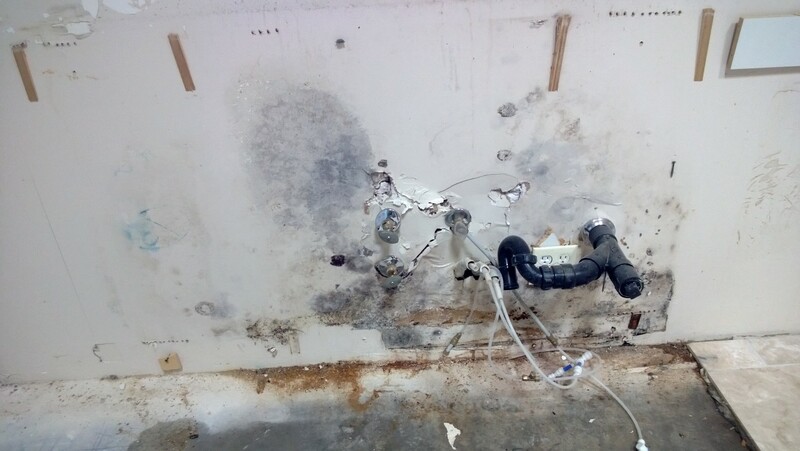 The granite backsplash that was there made it virtually impossible to get the upper cabinets out, so they had to rip it off. Looks like a bit of drywall came with it. Oops. 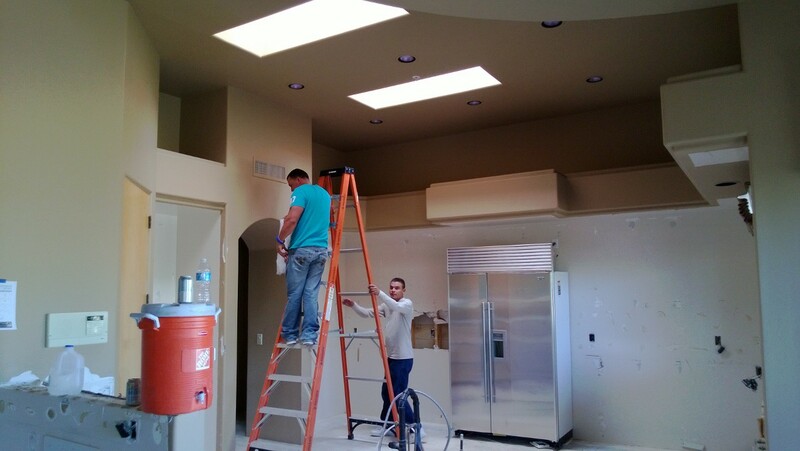 Rico and Maximo covering up the vents to help with dust control. 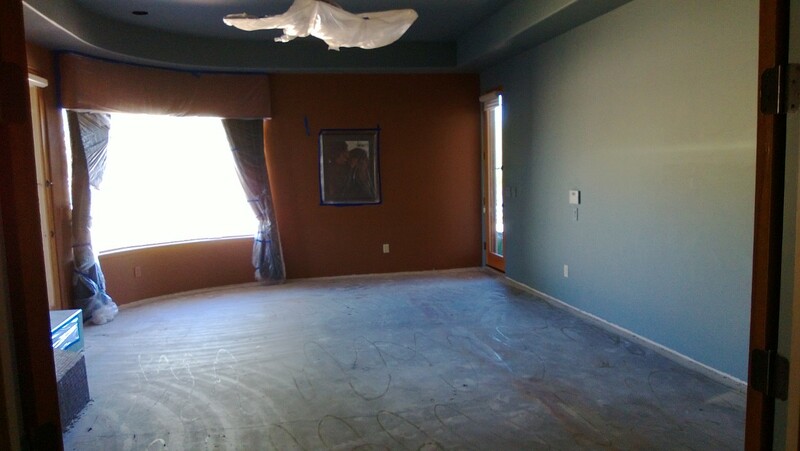 In the meantime another team of four guys moved all of the furniture into the garage and started to cover up all of the window treatments, ceiling fans and light fixtures. 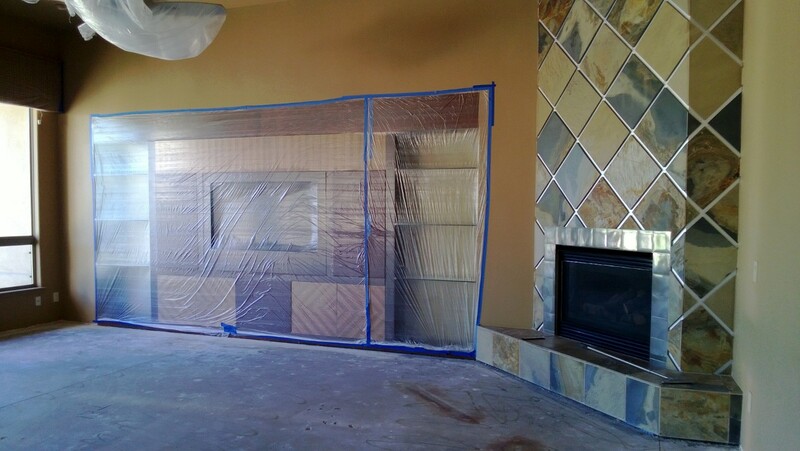 No matter how much you prepare and cover, there will still be dust when you have to chip up stone flooring. 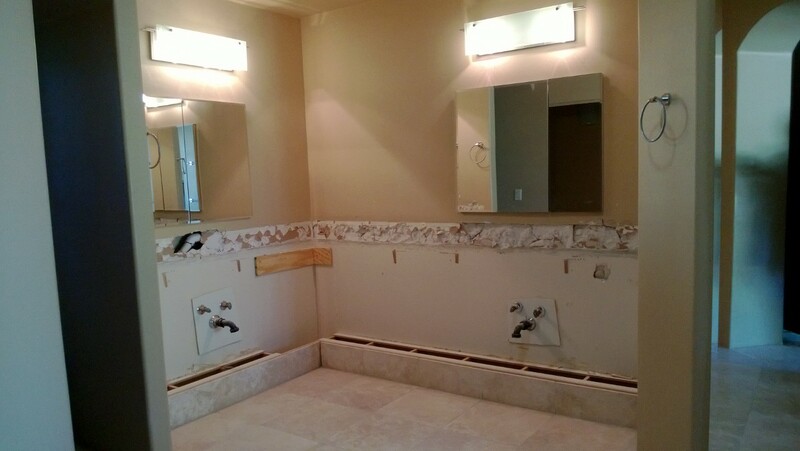 But all of these efforts sure make the client feel better and make clean up much easier! 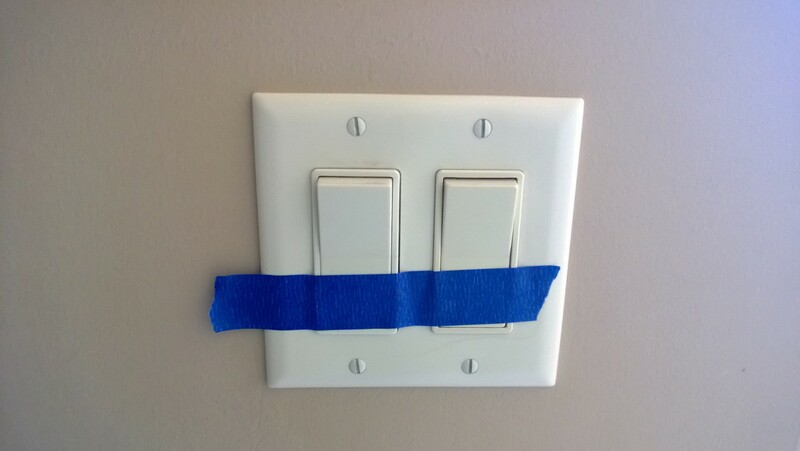 Here’s a demo tip: if you cover any fans or light fixtures with plastic, make sure that you tape the switches to their off position so someone doesn’t turn it on. Burning plastic is never a nice smell, and it’s a nightmare to clean it off the bulbs! 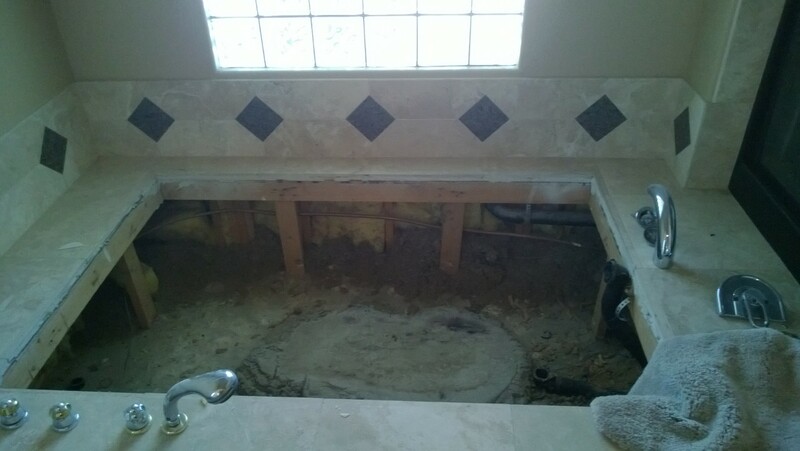 At the end of the day, the master bathroom, kitchen cabinets, bath tub, half of the master shower and carpet in four rooms had been removed and hauled off the property. One little surprise of mold in the kitchen behind the sink, but it’s small and isolated. If you need a reminder of what it looked like before we started, check out my earlier post. Stay tuned tomorrow to see what they got done today!!! Looking forward to seeing the progress of your design!